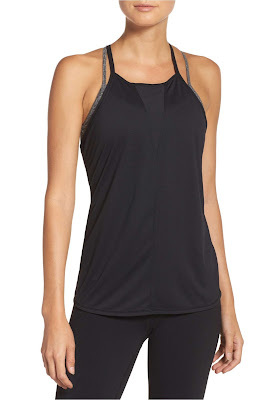 One of my favorite brands is Zella, Nordstrom's fitness line. Well made, they wash and wear well and are a great quality. And they make you look good. Lucky for you, Nordstrom has a ton of Zella on sale in their half yearly sale right now! Here are some of my favorites. If nothing else, snag yourself a pair of black leggings. These are the All In Ankle Leggings. Zella's black leggings are hands down the best. I love to not only wear them to barre, but I'll pair them with tunics or long cardigans and boots. I find Zella runs true to size for me in the pants. I wear a large and they fit perfectly. If you are looking for more of a crop look, I would recommend the Defy High Waist Crops. Hello, you had me at high waist! 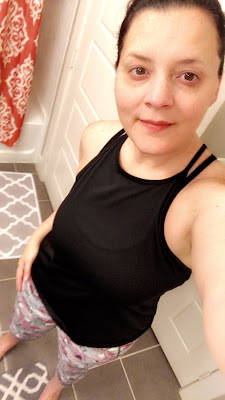 If I'm taking a barre class, I prefer a full length legging, but for running or walking or other cardio I typically go with a crop. In the market for something a little flashier? 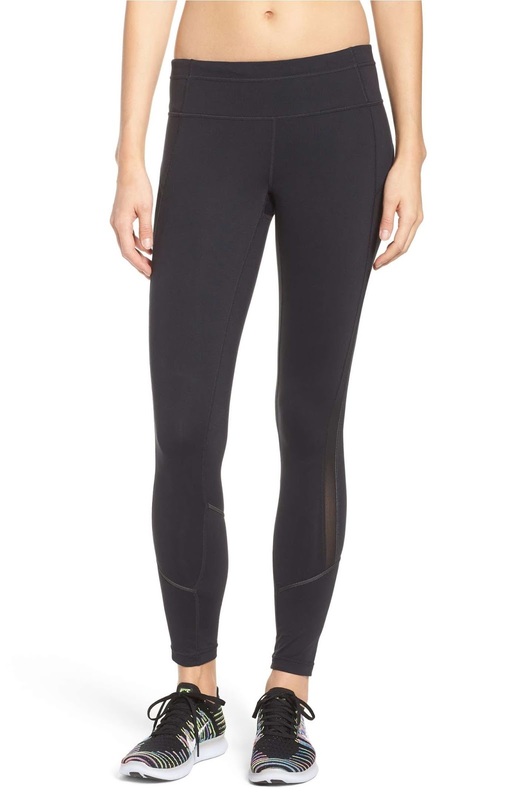 How about these Shine Bright High Waist leggings? Again, I'll try anything with a high waist, but I love the gold reflective striping. I love a good hoodie! Whether for warm up or for a brisk walk in the neighborhood, this Like a Girl hoodie is perfect. I love that it has the thumb holes since I only wear gloves when I absolutely have to. 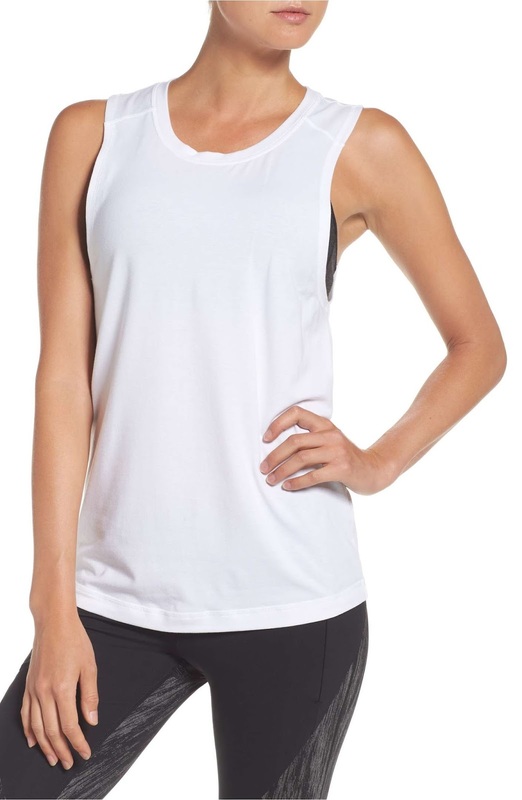 This Body Work Stripe tank is my favorite cut of tank for working out. I find the cut around the shoulders and the nipped in waist provide a figure flattering look. Another great option for warm ups or for a run is this Run Play Breeze tee. 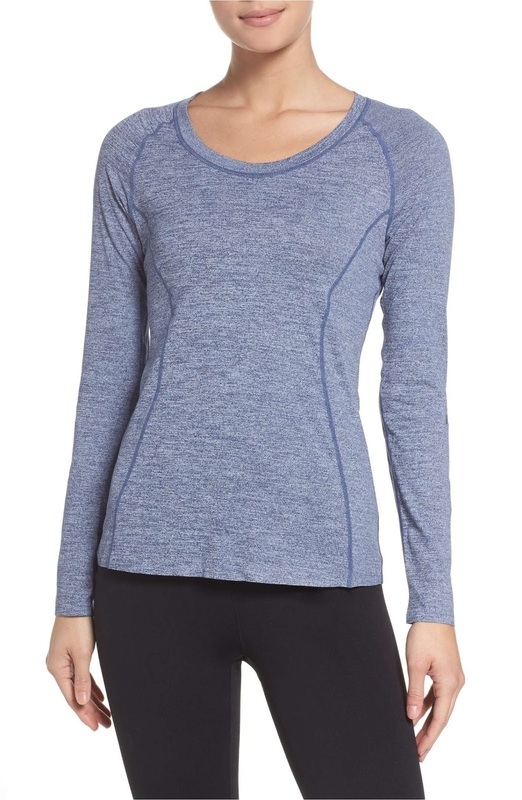 I like a slimmer fit for running and this is the perfect shirt for that. I love this Side by Side Tank. I love the fit of it, I love the clean lines. It's a great studio class shirt. I love this Socialite jacket/hoodie. It's great to put on over my gear as I head to the gym or barre studio. A soft fabric that isn't too bulky, it's great for layering over other pieces. Some great things on sale! Are you excited for the new year? I am so looking forward to 2018. On Monday I will have the first post of 2018! Join me! 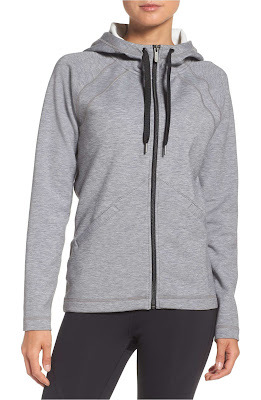 Hey your workout gear for the New Year is looking super adorable. I am totally in love with the mesh leggings and those chic jackets. Thanks my friend for sharing the details here. 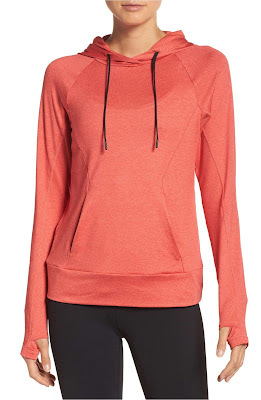 I also have to buy the apparels for yoga and will surely invest in some of these items that you have mentioned here.